My name is Chris Pavey, founder and Managing director of Pavey Electricals Ltd. Our purpose is to provide the best possible customer service, with a smile. All work carried out by ourselves comes with a 12 month guarantee and any fixed wiring is guaranteed for 6 years. As well as that, we do not have any call centres, when you call us you are put straight through to a member of staff that is on hand to help every step of the way. We usually come round to give you a free quotation and then if you are happy with our affordable pricing, we will try and book at a date that is convenient to you. City & Guilds is one of the most popular trade certifications that can be attained to show your quality level for working in the industry. We’ve attained the City & Guilds certification to show our expertise within the industry outperforms all other electricians. 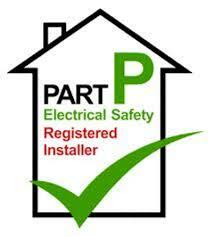 The Part P Electrical Safety Registered Installer is specifically related to the electrician industry. The Government have introduced the Part P certification scheme in 2005, to ensure that electricians are meeting the expectations set by Building Regulations.